ABOVE: CIBJO President Gaetano Cavalieri (standing, right) addressing the first Copenhagen Gemmological Symposium at the Odd Fellow Palace on March 23, 2019. Transparency in business is enabled when all terminology and metrics are accepted and understood by all participants, CIBJO President Gaetano Cavalieri has told a gemmological conference in Copenhagen, Denmark. 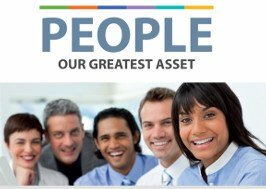 When a common business language is in place, and its rules and terms are publicly available, then the necessary elements exist for members of the business community to work together, to trust one another and to properly serve their consumers, he said. 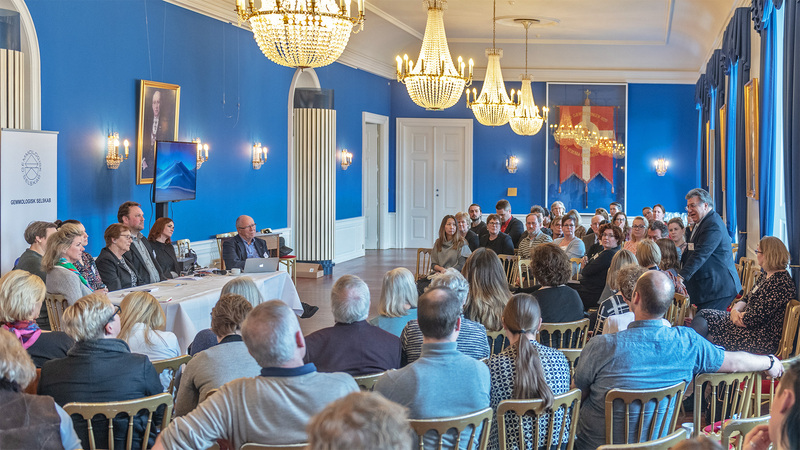 The CIBJO President was speaking as a keynote presenter on March 23, 2019, at the first Copenhagen Gemmological Symposium, organised by the Danish Gemmological Association at the historic Odd Fellow Palace in the Danish capital. 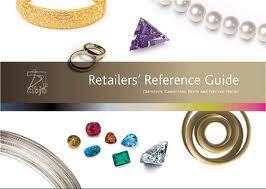 “But the confidence of consumers in the physical product is only part of the equation. 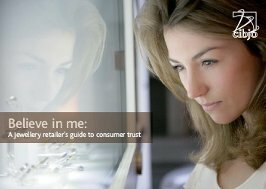 Today, and for about 20 years already, it has become increasingly apparent that the ways in which we, the members of the jewellery industry, behave and impact society and the environment are also fundamental components of consumer confidence,” he continued. 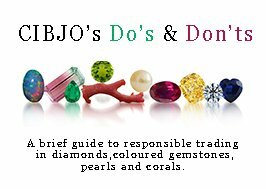 The most universally accepted sets of gemmological standards are contained in the CIBJO Blue Books, said Dr. Cavalieri, which contain principles for the grading, methodology and nomenclature of diamonds, coloured gemstones, pearls and precious coral, as well guidelines for defining precious metals. They are joined by a Blue Book laying out principles for the operation of gemmological laboratories, and, since January of this year, a Blue Book providing an industry-wide framework for the responsible sourcing of gems and precious metals. “Essentially, it is the Blue Books that serve as our industry’s common language,” the CIBJO President said. 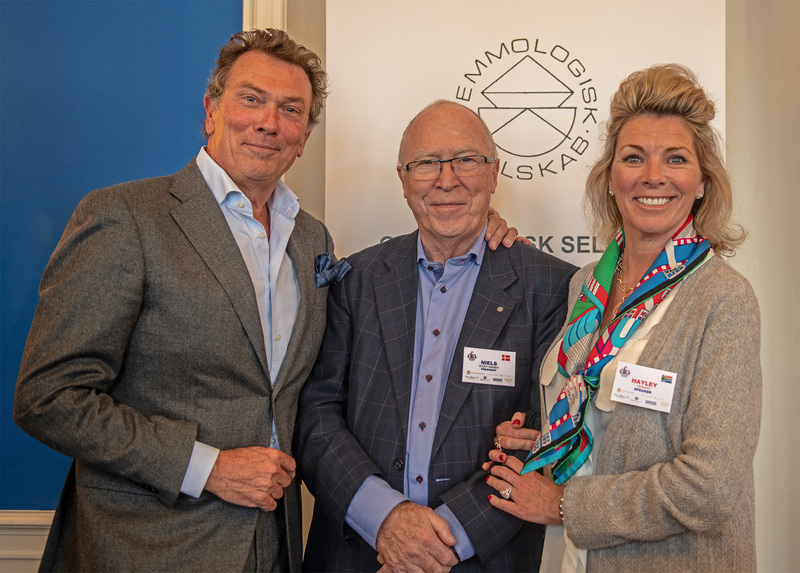 Niels Ruddy Hansen (centre), the organiser of the Danish Gemmological Association’s first Copenhagen Gemmological Symposium, flanked by Erik Jens (left), a CIBJO board member, and Hayley Henning, VP Sales and Marketing Greenland Ruby. In his address, the CIBJO President paid special tribute to the Danish Gemmological Association, which was created in March 1954, and in particular to the symposium organiser, Niels Ruddy Hansen. “To me and many others, he represents the very best of the European gemmological community, in terms of its commitment, respect of tradition and scientific endeavour,” Dr. Cavalieri said.